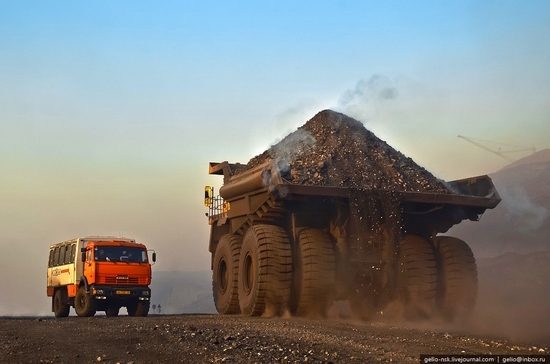 Borodinsky coal strip mine is located 7 km from the town of Borodino in the Krasnoyarsk region. In January 2016, the one billionth ton of coal was mined here, making it the largest coal strip mine in the country. It provides jobs for about 1,500 people. 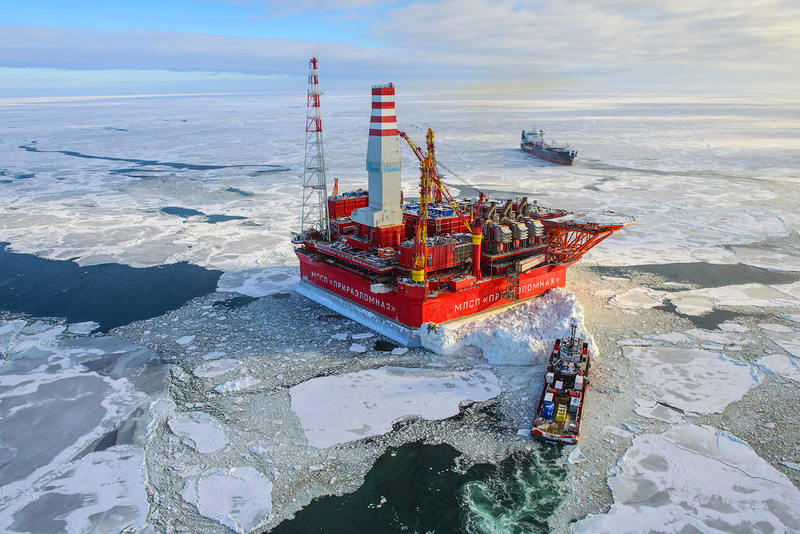 Prirazlomnoye oil field, located about 60 km from the coast on the shelf of the Pechora Sea, was opened in 1989. The sea depth in the area of the field is 19-20 meters. Today, thanks to technological advances, oil production is conducted here with the help of the world’s first stationary Arctic oil platform called “Prirazlomnaya”, 320 km north-east of Naryan-Mar (the Nenets Autonomous District). Photos by: Alexander Cheban. 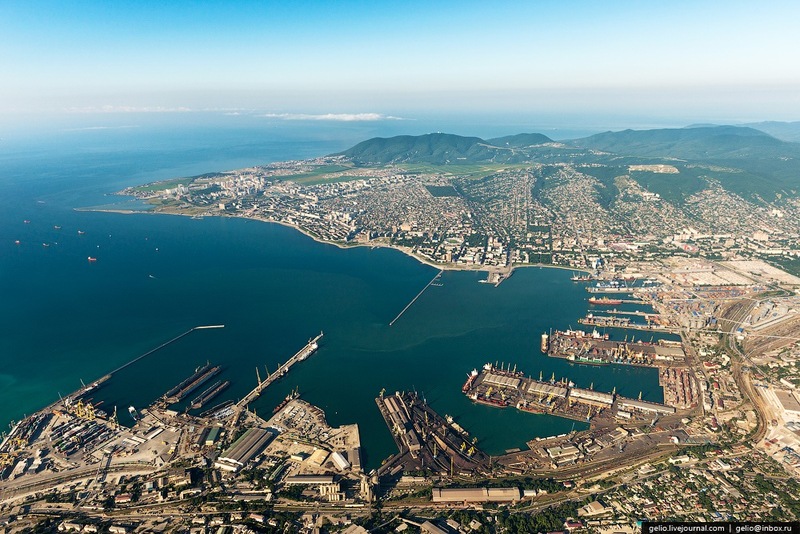 Novorossiysk sea port is the largest in Russia and the fifth port in Europe by cargo turnover. The port handles about 20% of the total volume of goods exported and imported through the sea ports of Russia. Aluminum appeared in our lives only about century and a half ago, but in that short time it managed to go from being a decorative metal to the material, which allows us to move faster, to live in warmth and comfort, and enjoy all the benefits of modern civilization. Bachatskiy coal open-cast mine, located in Belovo city (Kemerovo oblast) is one of the largest mines of the Kuzbass (total area is about 20 square kilometers, depth – 300 meters). 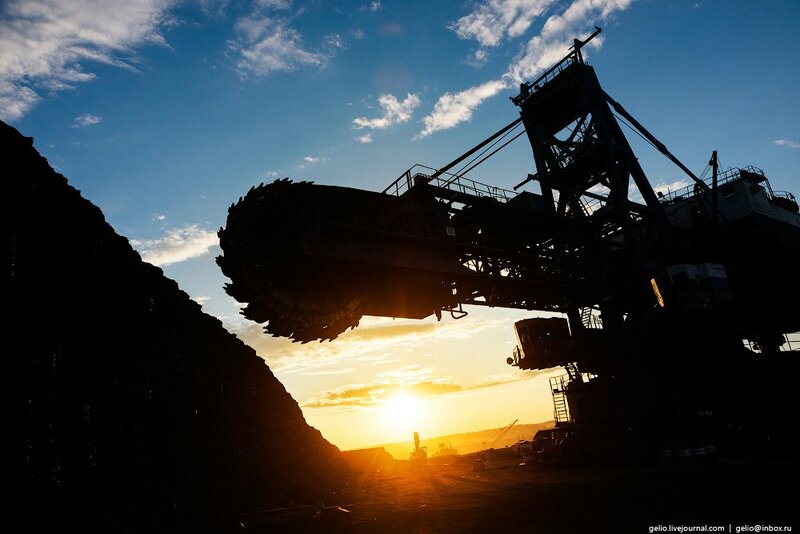 Annual production amounts to more than 8 million 700 thousand tons. 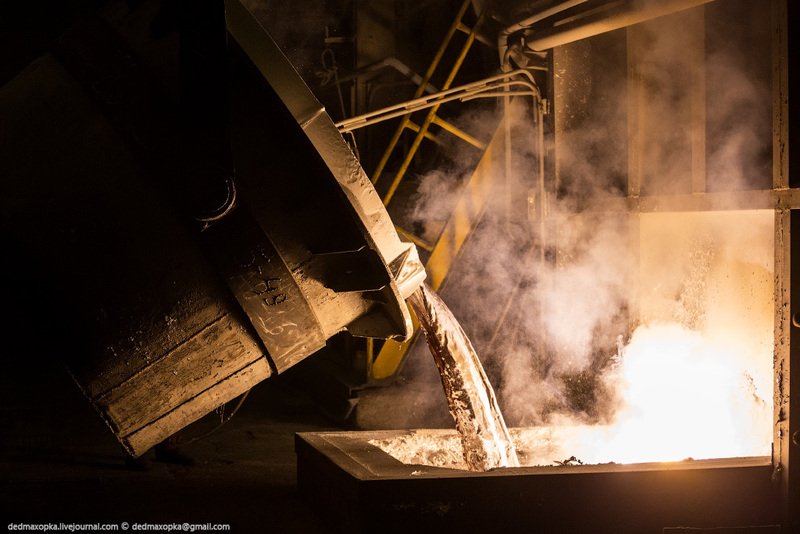 The mine produces fuel for energy and metallurgical industries of Russia and other countries around the world. According to the ranking of British company Brande Finance Sberbank (Russia’s largest bank) is the most expensive Russian brand in 2011 with the value of about 12 billion dollars taking 65th rank in the top 500 brands of the world (58th rank in 2010). Magnitogorsk Iron and Steel Works plant or Magnitogorsk Metallurgical Kombinat (MMK) is the largest plant in Russia of such kind located in Magnitogorsk city. Here is a nice video of the plant in the production process. 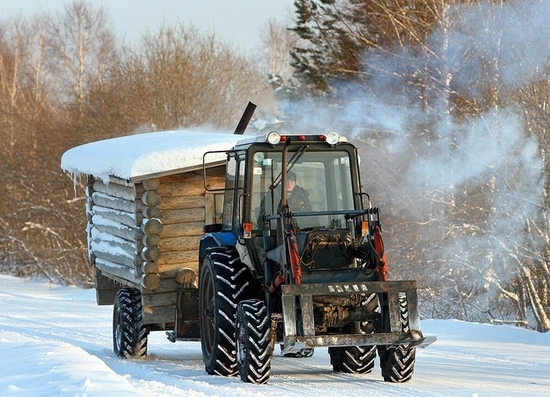 Siberian entrepreneur Sergey Benke made the following mobile Russian banya (sauna) by his own hands. It is very popular among lumberjacks, hunters and tourists. The proverb of never putting off till tomorrow what you can do today is not about the following people. 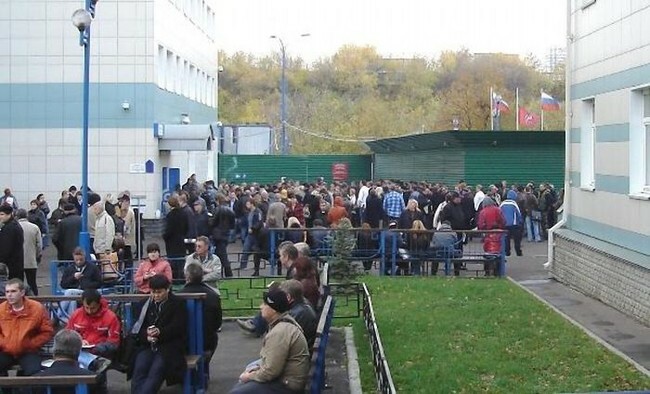 It is the line of business owners to Moscow city tax office #46 to re-register their enterprises (the deadline is at the end of 2009).